Formally trained in the martial arts, Jet Li was crowned as China's National Wushu Champion for five consecutive years before beginning his career in film at age 19. Li's first film, The Shaolin Temple, appeared in 1982, followed by several other Kung Fu films, including his popular Once Upon A Time In China series. 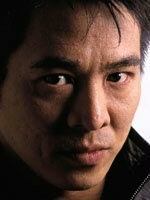 Li made his American debut in Lethal Weapon 4, in which he portrays a leader of a Chinese crime ring.